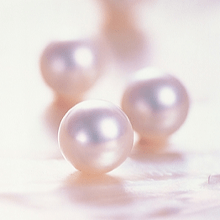 Before the advent of cultured pearls, the world’s supply of this ancient symbol of wealth, wisdom, purity, and prestige depended on the vagaries of natural fisheries. 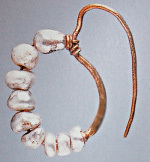 The Egyptians and Romans fed their insatiable appetite for saltwater pearls with treasures harvested from the waters of the Red Sea, Persian Gulf, and Indian Ocean. But the worst offenders, according to Pliny, were the ruling classes. He related two stories in which pearls were consumed for no better reason than to advertise wealth and “glorify the palate.” One of these stories detailed the famous wager Cleopatra made to Anthony that she would be able to host the most expensive banquet in history. 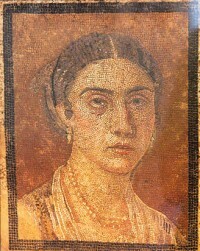 According to Pliny, Cleopatra won the bet by removing one of her prized pearl earrings, dissolving it in vinegar, and dispatching it down her gullet. 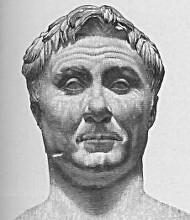 Pliny is one of several authors who comment on Roman sumptuary laws. 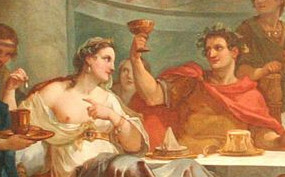 The Sumptuariae Leges of ancient Rome were enacted to prevent inordinate expense and luxury in banqueting, dress, and ornamentation. The laws were frequently flouted and eventually repealed, but at the height of Empire, so much of Rome’s wealth was lavished on imported pearls and other luxuries that its silver reserves were nearly exhausted. Neither money nor worldly possessions, neither science nor authority, will bring to you the sweet rest of paradise, at which you can arrive only by the noble knowledge of self. In that you may clothe your soul; it is the pearl which is not eaten by moths, and which no thief takes away. Seek it, and you will find a noble treasure.